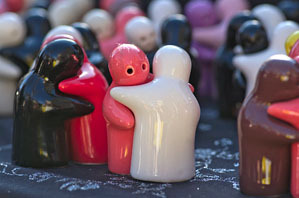 "Embrace" can be an expression of affection, or as you'll see in this excellent gallery, a number of other things too. 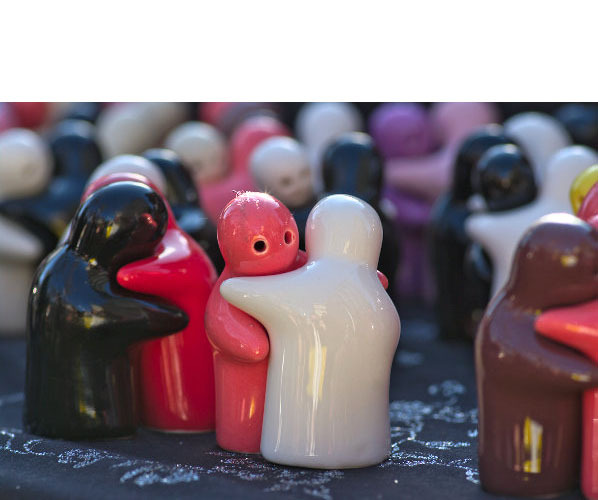 Check out the Dec. 09 Photo Assignment and see just how creative embracing can be. The Feb. 2010 assignment is "Red." Start working on your contribution now. Details can be found on the Member Participation page. You can submit photo assignment pictures up to 600 pixels in the widest direction. Please follow the instructions carefully for labeling the subject line of the email for your submission. It's easy to lose these in the pile of mail if not labeled correctly. 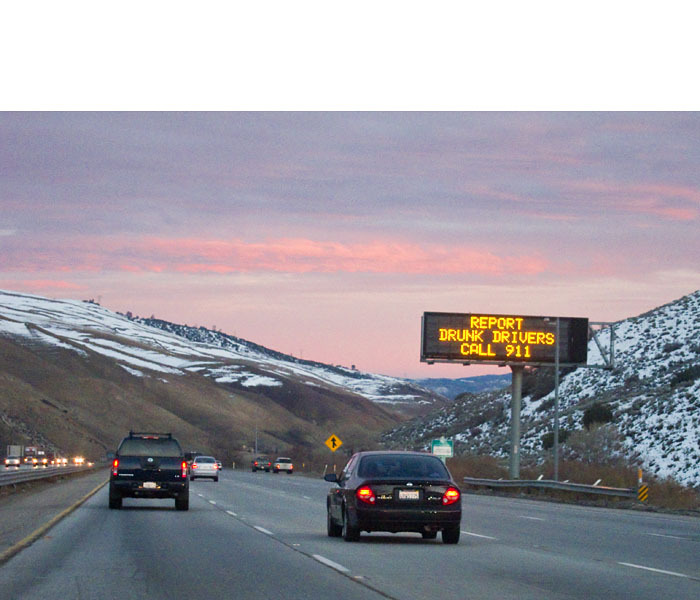 For example, the subject line for next month's assignment should be: "Photo Assignment: February 2010." Also, if you can, please don't strip out the metadata. And feel free to add any IPTC data you wish (These fields in particular: Caption, Credit, Copyright, Byline), I use that for the caption info. Photo by Brian Reynolds. You can read more about how Brian captured this shot, plus see all of the other great images on the Dec. 09 Gallery page. Good luck with your February assignment, and congratulations to all of the fine contributors for December. It's a great collection of images. The journey is as important as the destination. Are you missing opportunities for good photographs during your travels? Do you have a camera with you when riding in a cab? Have you ever been in a glass elevator? And please tell me you've taken cloud shots through an airplane window! This week we're talking about taking photographs through car windows and other crazy places that normally we don't think to pull out the camera. Once you get in this frame of mind, you'd be surprised at how many good images you get. You can also download the podcast here (20 minutes). Or better yet, subscribe to the podcast in iTunes. The TDS Hot Air Balloon Photography Workshop in June 2010 is sold out. If you'd like to get on the waiting list for upcoming workshops, please send me email with the subject line: "TDS Workshops." Those virtual camera club members who are on the waiting list get first opportunity to register for newly announced workshops. Attendance is limited to 6 for each TDS Workshop to ensure a personalized experience. I just read a good, short piece on George Eastman and the first Kodak camera. It's a slice of history that has an impact for all of today's photographers. The article, Eastman, Kodak, and Roll Film: A history of revolution and evolution in photography is also a good reminder of how good we have it today as shooters. All Day Workshop! 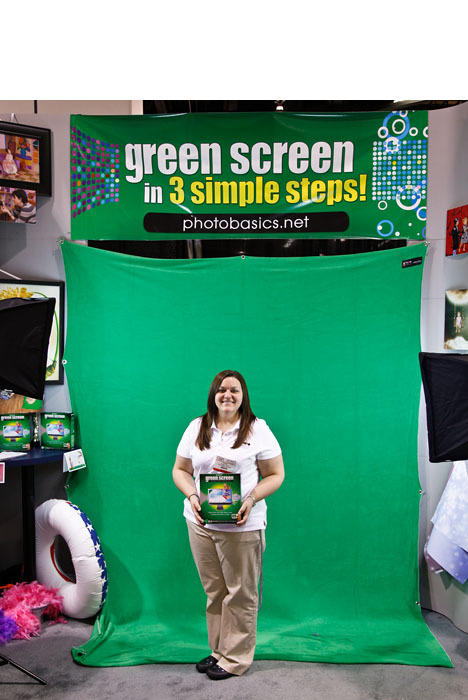 "Digital Photography from Start to Finish"
What are you doing on Saturday, Feb. 27? If you're going to be in Northern California, please join me for an all day workshop titled, Digital Photography from Start to Finish. This event is hosted by the Diablo Valley Mac Users Group, and will take place at Meadow Homes School, 1372 Detroit Ave., Concord, CA. The workshop begins at 9am and concludes at 4pm. There will be plenty of Question & Answer time throughout the day, too. The workshop is only $75, so this is a real bargain for an all day event. You can attend by downloading the PDF registration form and mailing it in. 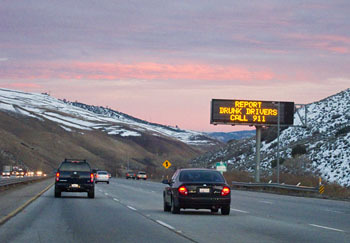 You can also call (925) 689-1155 for more information. Register today! For those of us in North America, it's not too early to start thinking about the Spring wildflower season. 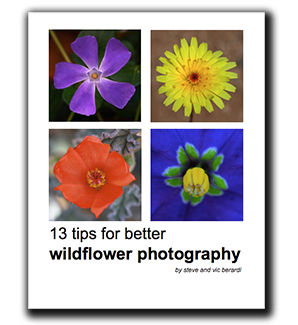 I've just downloaded and perused a free eBook titled, 13 tips for better wildflower photography, and it contains lots of helpful information and some terrific shots. If you want to improve your flower pictures this Spring, you might want to download a copy for yourself. 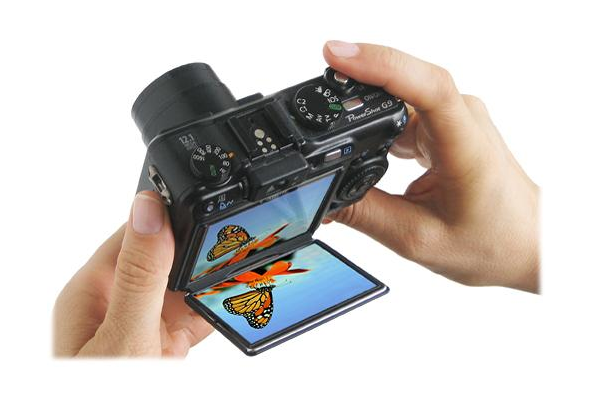 The Flipbac Angle Viewfinder protects your 3" camera LCD and makes it easier to compose shots at high and low angles. It opens to more than 180 degrees in both landscape and portrait positions, and reflects the LCD image on its mirror-like surface. 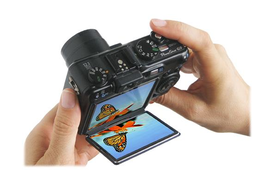 When you're done shooting, the flipbac folds up and protects the surface of the LCD. 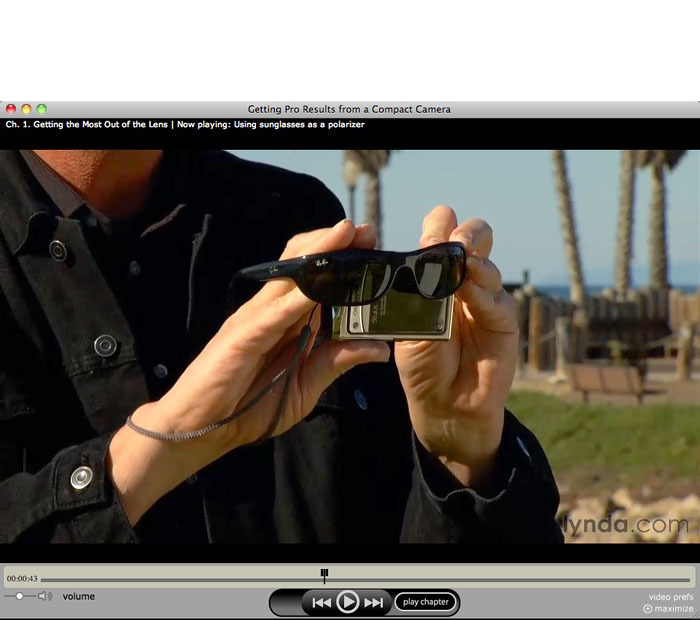 It fits most cameras with 3" screens, and is available for $18.95 US. I shoot in all sorts of locations, most of which are more cramped than I want. 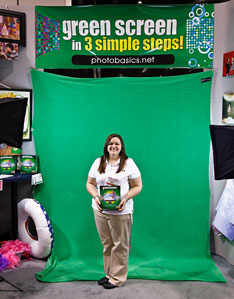 So I bring along my 6-foot wide rolls of white, black, and colored photographer's backdrop paper and do the best I can. 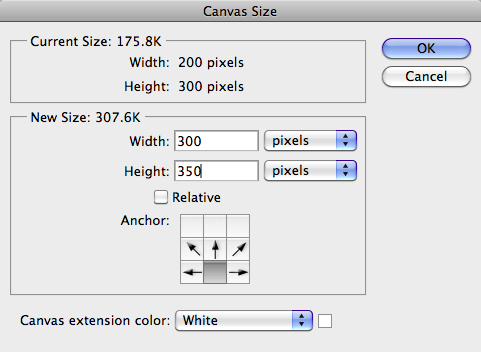 Fortunately, if I shoot on black or white backgrounds, I can increase the space later in Photoshop CS (any of the versions) using the Canvas Size dialog box (Image > Canvas Size). This technique works best if you keep your background whites bright, or your blacks saturated. In the top image you'll see that I ran out of space and don't have much background area around the subject. This can be a particular problem if you need to add another element to the shot, such as type. But the fix is easy. Just open the Canvas Size dialog box and adjust the settings as I have here. Notice how I select the bottom/center box for the anchor. That adds white space to the top and sides of the image. You can control this by selecting the anchor that best suits your needs for that picture. I usually work with white or black as the Canvas Extension Color, but you have nearly unlimited options via that popup menu at the bottom of the dialog box. 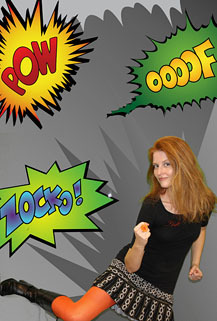 Once you have your settings in place, click OK, and your backdrop suddenly becomes much more spacious. I dug around a bit and found a good tutorial that also shows a similar technique for Photoshop Elements. 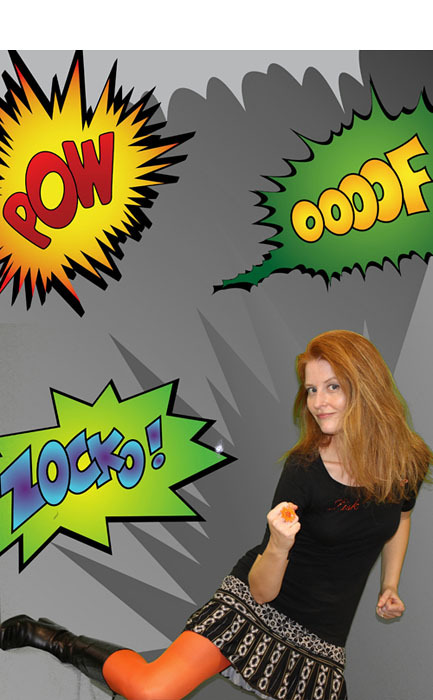 Check out the article titled, Add Space to Your Studio in Photoshop. About half way into the article the author shows the technique for Elements.